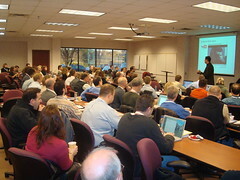 This morning the 8th social media breakfast meeting (started by Rick Mahn) was held at the Deluxe HQ here in the Twin Cities. In a very short time this meeting of a few social media enthusiasts at a coffee house has grown to over 125 people hosted by the likes of Best Buy and PartnerUp, a company acquired by Deluxe. The main speaker at this morning’s event was David Meerman Scott, popular author of several books including, “New Rules of Marketing and PR” which I recently recommended to a crowd of about 400 at the PRSA International conference earlier this week. Graeme Thickins was able to convince Scott to stay an extra day for the smbmsp event from another speaking engagement, much to the benefit of the MSP social media crowd. 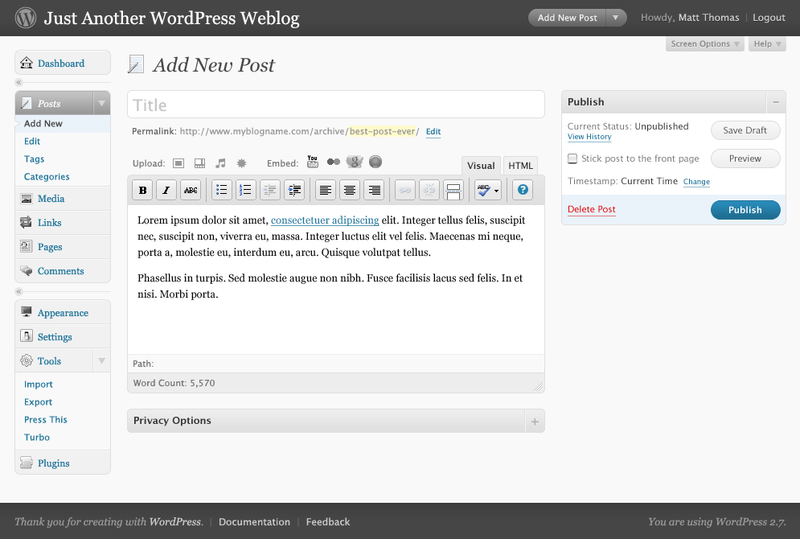 WordPress 2.7 Re-Designs the Admin Side Again. It wasn’t long ago when WordPress 2.5 came along and the admin side of the blog was completely re-designed. It was a welcome upgrade, but it seems it was met with mixed emotions and so WordPress decided to do some usability testing. What they found out was that the redesign was still frustrating some users. 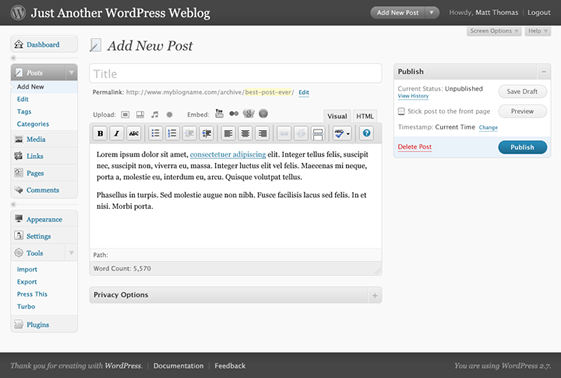 WordPress worked to move some things around and tested prototypes against the test panel. Before they knew it, they came up with a new layout that tested far above the current admin interface. People were able to get things done much faster and were overall very happy with the prototypes; even though the prototype design was ugly. So this is why WordPress 2.7 comes with another administration redesign. Please welcome guest blogger Jessica Rosenberg, a freelance writer and active social media user who blogs daily at It’s my life… and does product reviews at The Lemonade Stand. 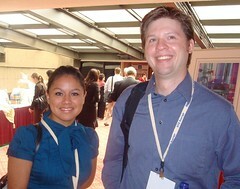 Jessica attended BlogWell: “How Big Companies Use Social Media” event this week in San Jose. 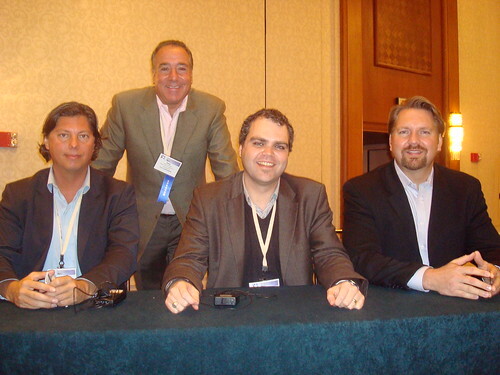 As sponsors of BlogWell, TopRank’s Online Marketing Blog also did a pre-event group interview with social media gurus from Wells Fargo, Home Depot, UPS & Graco who presented at the event. Eight major companies gathered in San Jose, CA this week to demonstrate how they are using social media the “right” way. 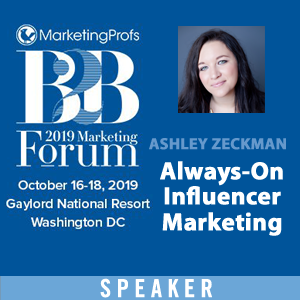 The goal of the BlogWell conference, organized by GasPedal, specialist of word of mouth marketing, was to show corporations interested in entering this new and nontraditional field how to navigate the scary waters of social media marketing. We continue our series of weekly SEO basics questions and answer today with a question that acknowledges the value of approaching search engine optimization holistically, but indicates a desire to keep things simple and focus on the basics. Since Google dominates the search marketplace, you can read their “How can I create a Google-friendly site?” recommendations. Or you can read on for more SEO insight. Of course, feedback and questions are always welcome. The webinar had about 350 participants online and there were well over 70 questions posed. 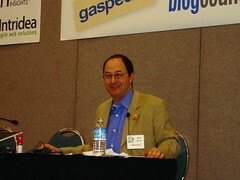 Over the weekend, Online Marketing Blog posts as well as my interactions on Twitter took on a decidedly “public relations” flavor with TopRank’s involvement at the 2008 PRSA International conference. The event is now done and everyone should be back in the swing of things back in the office. 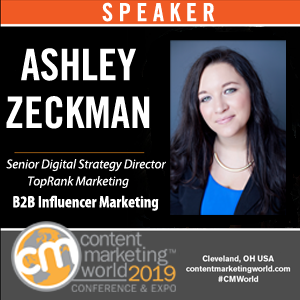 This year TopRank had 2 speaking slots (a workshop and a panel) plus Account Manager Mike Yanke and Media Relations Associate Nicole Leach stayed busy attending sessions, keynotes and blogging. 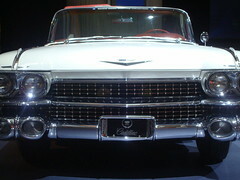 The theme of this year’s event was “The Point of Connection” and I think the reference served the interests of attendees well. Social technologies were top of mind for attendees, speakers and the event itself with all the blogging, Twittering and real world networking going on. PR professionals from across the globe converged on Detroit to learn, recognize their peers, conduct business and most of all to connect. Thank you to Jonathan Dingman, who writes the Google News, Inside blog, for attending the DPAC II conference in New York this week and blogging the session, “SEO: Is Finding Your Inner DAO the Answer?” which included: Ron Belanger, Vice President, Agency Development at Yahoo!, Anne Kennedy, Managing Partner at Beyond Ink, Jolina Pettice, Senior Account Manager at TopRank Online Marketing and Noah Elkin, Vice President of Corporate Strategy at Steak as moderator. 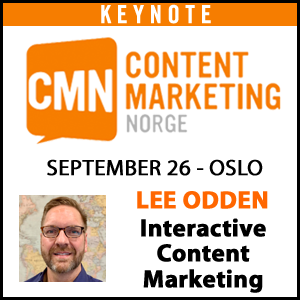 Digital Asset Optimization (DAO) is something that any publisher, of any kind, ought to be doing on a regular basis. 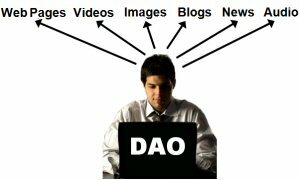 Alright, so if you should be doing it, what exactly is DAO? DAO is, essentially, optimizing what you own as an asset, digitally. It’s pretty straight forward. Whether it’s a video, an image, presentation, or a podcast, as a few examples, those are your digital assets. 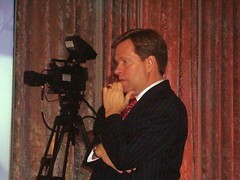 A video is an asset which should be optimized for maximum exposure. 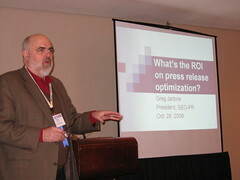 PRSA 2008: What’s The ROI On Your Press Release? 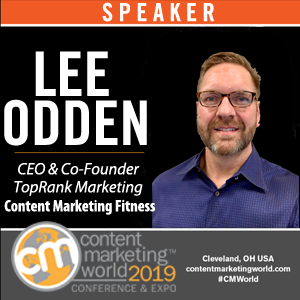 Working for TopRank Online Marketing, which offers both SEO and public relations services, I always enjoy attending sessions that focus on both. 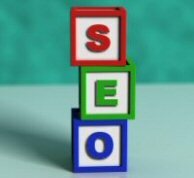 In part, it’s an excellent feeling to know that the SEO services we integrate into our online PR programs are ahead of the game in many ways, and in part because there is always something new and of value I can continue to offer to our clients. At TopRank Online Marketing, many of our clients are intrigued with the prospect of going to market with green messaging. We match their excitement like most firms do when faced with the prospect of communicating an honest-to-goodness good story with so seemingly tailor made for results. 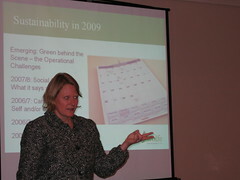 Is it really enough to announce that you’re going green, however, if your objective is to receive coverage? The session “How To Leverage Current Consumer Trends & Most Effectively Communicate with Green Media” illustrated ways we could help ensure our clients do it right. 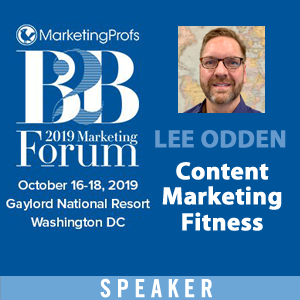 Presented by Annie Longsworth of Cohn & Wolfe and Sandy Skees of Communications4Good, the session dispelled the myth that it is simply enough to announce yourself as green in order to achieve increased media coverage. Prior to being engaged to someone with far more social tact and less complete obliviousness towards social etiquette than myself, it would have never once occurred to me to bring a “host gift” to a party or get together. As I mature and meet more and more people, however, I’m glad to have someone around who actually realizes that most social groups will adhere to often unwritten social rules (including “host gifts”), and will be unlikely to truly welcome someone into their group unless they follow them. When looking at the changing PR landscape, particularly the presence of new forms of social media, what can PR professionals learn from this example? Is this really the case? For those of us that have not been leveraging social media as heavily as others in our field, is the game over? 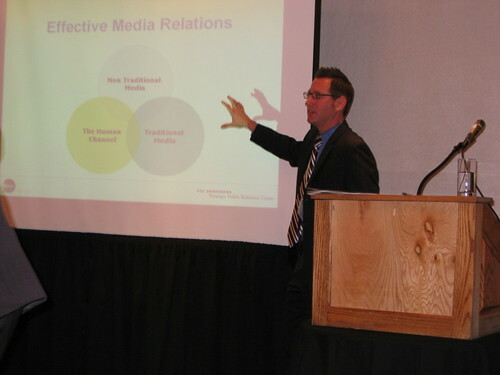 In the PRSA conference session Media Myths & Realities, Nicholas Scibetta, Global Director, Global Media for Ketchum let us know, thankfully, that those just getting started in social channels are not quite sunk yet. As with most conferences, we like to take a few photos and the annual Public Relations industry event, PRSA International conference is no different. Held in Detroit this year with attendee goals met and sponsor goals exceeded, there is a feel of optimism both about the city as esposed my Detroit mayor Ken Cockrel and by PRSA President Jeff Julin. I personally started the conference on Saturday with a 4 hour workshop on SEO for Public Relations which included results of our Journalist Use of Search Survey. At 10am today I’m on a panel with Peter Himler, Rob Key and David Bradfield. 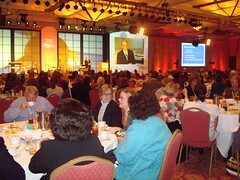 Here are a few of my favorite photos from the first 2 days of PRSA 2008.